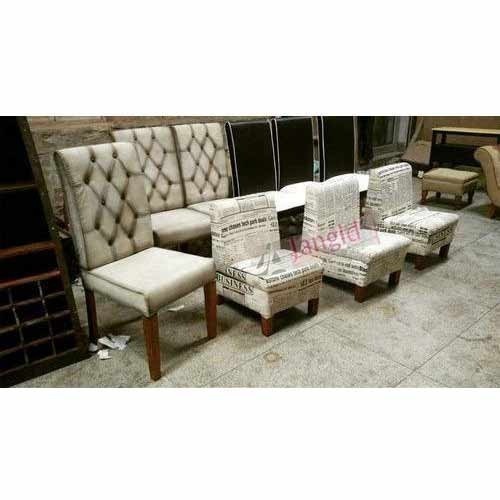 To fulfill the miscellaneous necessities of our patrons in the best possible way, we are keenly affianced in offering to our patrons Vintage Indian Upholstered Furniture – Chair. Incepted in the year 1999, Jangid Art & Crafts is a pioneer and trustworthy organization in furniture business and manufacturing, exporting and wholesaling of a wide array of Decorative Gift Articles, Reclaimed Wooden Furniture, Wrought Iron Furniture, Handicraft Wooden Furniture, Antique Reproduction Furniture, Indian Painted Furniture, Indian Upholstered Furniture, Antique Handicraft Furniture, Reclaimed Catering Furniture and Vintage Iron Products, Indian Industrial Furniture, Recycled Wood Furniture. Offered product portfolio is acknowledged for its top quality, high strength, contemporary design and long service life. Our goal is to set new benchmarks in the furniture business by offering products that attractively incorporates with each decor. With knowledge and understanding of last several years, we are providing one stop solution to accomplish each customer’s necessities.